We manufacture best quality Soybean oil deodorizer distillate (SODD) in state-of-the-art manufacturing facility. SODD is a by-product of the soybean oil refining produced in the deodorization step. SODD is a complex mixture composed of fatty acids, sterols, tocopherols, sterol esters, hydrocarbons, and breakdown products of fatty acids, aldehydes, ketones and acylglycerol species. 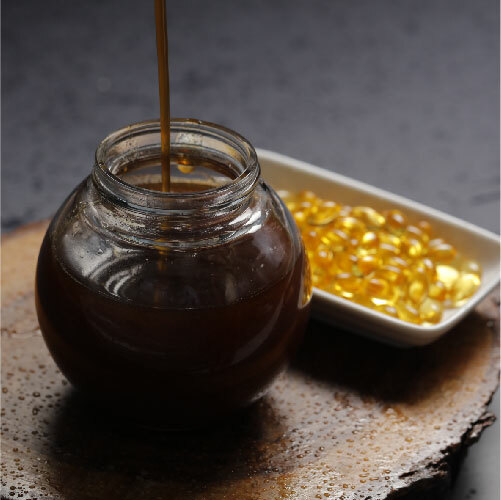 It is an important source of natural tocopherols and phytosterols corresponding approximately 8% and 20%, respectively. Tocopherols prevent diseases like cancer, cardiovascular and cataracts. They are used in food, cosmetics and pharmaceutical industries. Tocopherols are sensible to light, heat, alkali and contaminant metals.